Time for this week’s round-up! 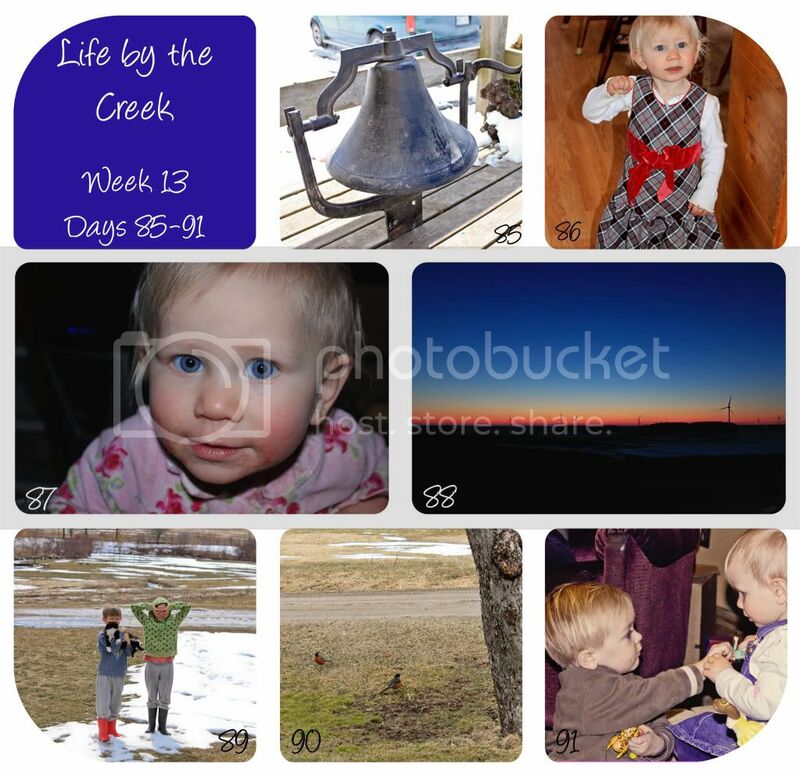 Day 85: We’ve inherited the school bell from the old one-room schoolhouse on my in-law’s farm. It’s very cool… and very loud. Day 86: Hannah ready for church! Day 87: Taken at my desk, in the dark, with a flash. Seriously, could her eyes be any bluer?? Day 88: God’s gift to us on the way home from dance class. So gorgeous. Day 89: The rubber boots are back… even with the leftover snow. And my boy loves the kittens. Day 91: Hannah and her best buddy Ducky. Who has a new big-boy haircut!! Aww! There you go. That’s how it’s been around the creek this week. Check out other 365’s at Sarah’s. Great photos! I love 86 & 88. Gorgeous!! Thanks for linking up. Have a wonderful weekend. Nice shots. those eyes are gorgeous. Great collage. I love the sunset and blue eyes. My little ones have the same dress.